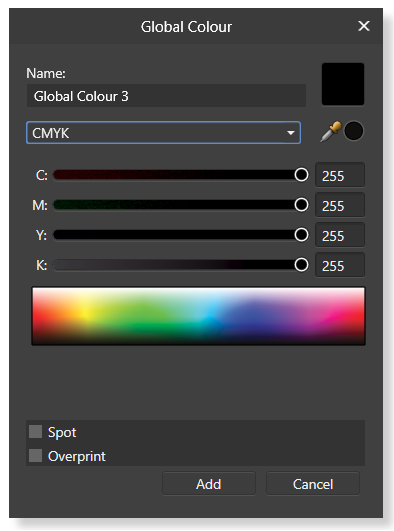 When creating a global colour from the Swatches panel flyout menu the CMYK sliders go up to 255 rather than 100% as expected. 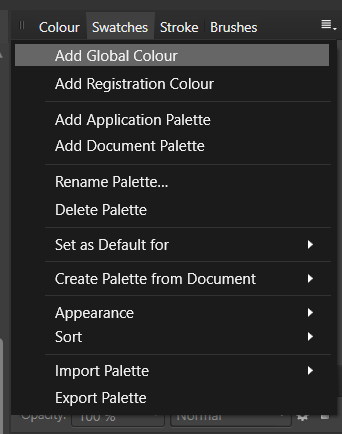 This only happens in this particular menu/window, if you edit an existing CYMK colour (be it global or not) the problem does not happen. This isn't actually a bug, but a setting in the Colour Panel that allows you to switch between using 8bit values 0-255 or Percentage for CMYK. Anyway, it's still a bug. Actually, quite a few of them. I have that switch set to percentage and the CYMK sliders for a new global colour still show as 8-bit only. The tooltip over the default black/grey/white swatches (below opacity, right of the palette chooser) also show the values in 8-bits. Lastly, the CMYK sliders will revert from percentage to 8-bit after you change from sliders in the flyout menu to something else (like boxes) and then back to sliders. My opinion? Remove the 8-bit value feature. I have never, ever heard of this before, I can't think of a single use case in print or anywhere else, I have never ever heard a professional designer or trainer or book mentioning this mode, I have never ever been requested by a print production or factory to provide CMYK values in 8-bit. Why does this exist? I have that switch set to percentage and the CYMK sliders for a new global colour still show as 8-bit only. The tooltip over the default black/grey/white swatches (below opacity, right of the palette chooser) also show the values in 8-bits. Reproduced that also and will get it reported. Lastly, the CMYK sliders will revert from percentage to 8-bit after you change from sliders in the flyout menu to something else (like boxes) and then back to sliders. 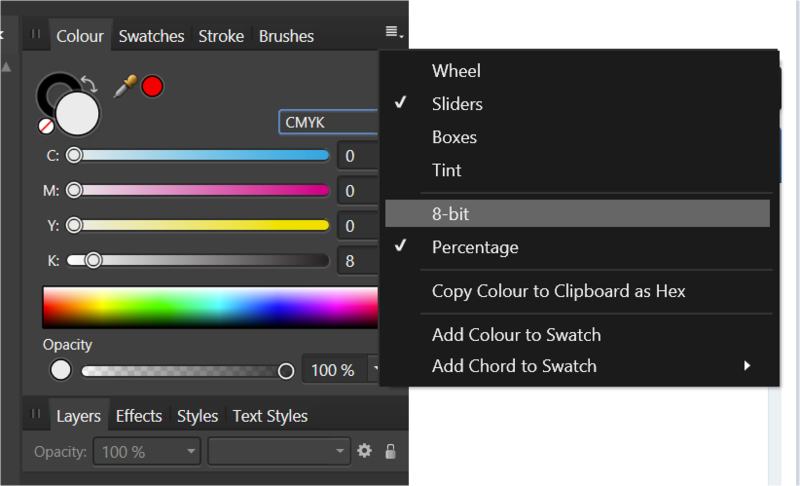 Double clicking a CMYK swatch will show sliders using 8-bits mode rather than percentage regardless of the option chosen in the colours panel. I could only reproduce this after they changed when I switched to boxes - so this should be fixed when the point above is fixed. While thinking about this I came up with an idea for this 8-bit/percentage thing. First, by default selected option should always be "Percentage" for a new installation, then an option in the Preferences window to use only percentages would be the ideal. Lastly, when creating a new document there could be a Colour Format called CYMK Percentage if you need to keep the 8-bit for some reason unknown to me. it was really confuse the cmyk slider with 8-bit option.